Beauty Notes! Makeup Artist Carmindy revealed to Glamour magazine an interesting beauty trick: Apply Great Lash Clear Mascara for a super shiny finish; it’s like “hair gel for lashes,” Carmindy said. Yeah-I've seen this product in the beauty aisle, but drove my shopping cart right past it. 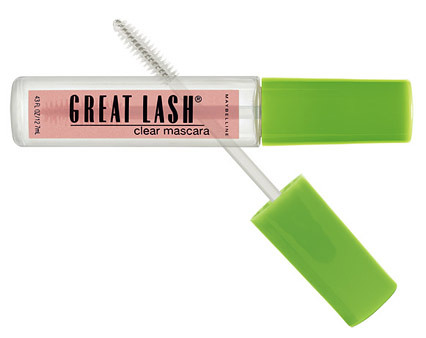 I never thought clear mascara would be of any good use to me, or my lashes. Honestly, when I think *GEL* I think sticky-icky. And why would I want sticky lashes?